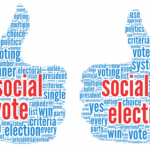 With the eye on 2019 lok sabha elections congress played a game changing move. 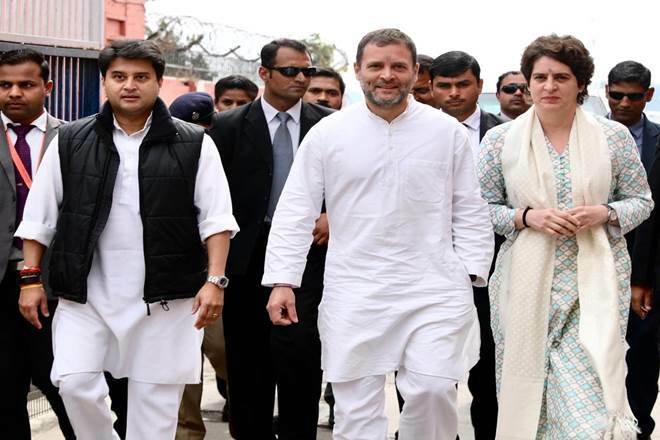 Priyanka gandhi enters in active politics and appointed as a general secretary of the eastern block of Indian National Congress’s in Uttar Pradesh (UP).Congress also appointed Jyotiraditya Scindia as general secretary for Uttar Pradesh West and KC Venugopal as general secretary of the organisation. The one who wins the heart of Uttar Pradesh gets the center. With almost 80 key seats coming from the state, UP always play the most important role in the national government formation.After this move a new positive charge will flow in congress cadre which was feeling low. Now, Congress may start playing on frontfoot. When two major regional outfits, the Samajwadi Party (SP) and the Bahujan Samaj Party (BSP), formed an alliance to take on Modi’s Bharatiya Janata Party (BJP), they left out the Congress from the “grand alliance.” India’s grand old party then seemed to be on the backfoot. Priyanka likely to contest from Raebareli, the traditional seat of Gandhi family, currently represented by Sonia Gandhi. 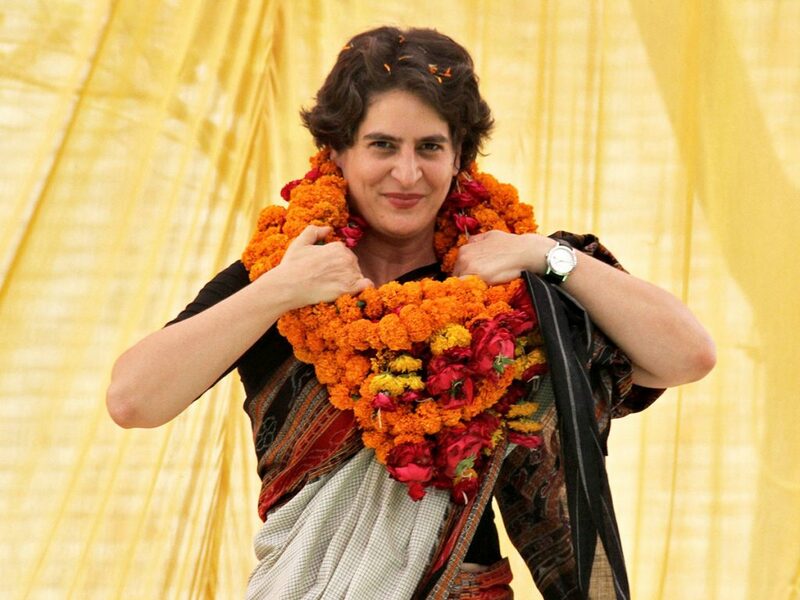 Priyanka bears resemblance to Indira and is likely to attract female voters who will connect with her easily. Gandhi is no stranger to politics, she has been working from background for the long time, though her public appearance was limited to Raebareli and Amethi. Last year during the Assembly polls, she was the star campaigner of the party and took part in numerous road shows and rallies. Just a couple of months ago, she was part of some closed-door meetings to decide the chief minister of Madhya Pradesh, Rajasthan and Chhattisgarh. The decision to appoint Priyanka Gandhi shows how the Congress leadership had to give in to the demand of its workers and people. For the past several years, the workers have been demanding her presence in the national politics.She has always been rated a more spontaneous politician than her brother. she is known for her ability to connect with the masses and also for her articulate in Hindi. 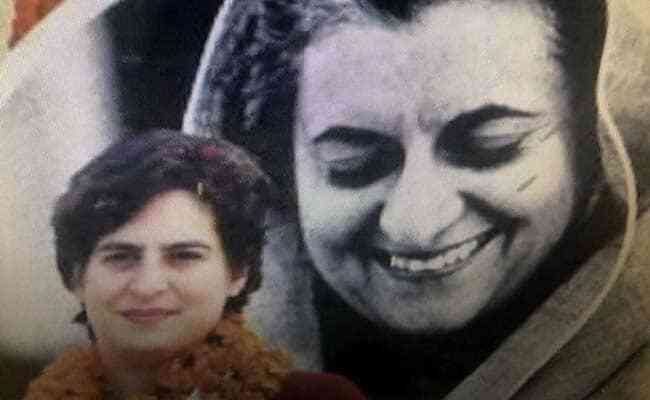 Rahul Gandhi said “I am very happy that my sister Priyanka will assist me in UP in the Lok Sabha polls. She is very capable”. There is no doubt that UP is still under the effect of modi wave. As whole india in UP also two rival parties come together and left congress alone . Both BSP and SP will stand their candidate on 50% shares while congress will stand their candidates on all over 80 seats. This may decrease the vote share of congress, BSP and SP and will directly benefit to BJP.